If you are starting a new business or have an existing one, do you have your intellectual property properly protected? You’ve heard the terms copyright, trademark, and patent, but how do they apply to your business? Copyrights are protections rooted in the United States Constitution and various other laws that apply to original works that are fixed in a tangible form of expression. The term ‘fixed in a tangible form of expression’ refers to it being present in a physical way, not just an idea in your head. These can include songs, photos, videos, audio recordings, paintings, movies, software, writing, or sculptures. A copyright does not protect an idea, system, operation method, or fact, although it may protect the way these items are ultimately expressed. Registering a copyright can be optional and it protects you from other people copying your work. People like photographers often find their photos have been used without permission. A photographer who finds out one of his photos has been taken and used for a large company’s advertising campaign can pursue a claim for copyright infringement, even though that photo was not already registered. In the U.S., a copyright exists as soon as the work is created. In order to pursue a claim, you will need to register the copyright. A trademark is a sign or symbol that is capable of distinguishing services or goods of one business from those of other businesses. A trademark might be a word, combination of words, letters, numerals, symbols, logos, or packaging and shape. Trademarks can even be sounds, fragrances, or color shades. Protect your trademark through intellectual property rights. You can register your trademark by filing an application for regional or national protection, and there are options to have it protected internationally as well. Trademark registration means you have the exclusive right to use that registered mark, or you can license it out for payment. Registering it provides the protection you need in the event there is litigation. Trademarks are typically valid for 10 years, and can be renewed repeatedly once you pay additional fees. New patents are generally granted for a term of 20 years from the date the application was filed. In certain situations, the date may be calculated from an earlier related application. Patent grants issued in the U.S. are only effective in the United States and its territories and possessions. 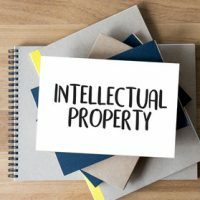 If you have questions on intellectual property and want to pursue registering a trademark or copyright, or are starting a patent application, it’s important to retain a Washington, DC intellectual property attorney. Tobin, O’Connor & Ewing specializes in a variety of business law topics and can assist with intellectual property matters, including disputes and infringements. Contact our office at 202-362-5900 to schedule a consultation.